San Francisco Circuits is a one-stop solution for all circuit board production services. Our clients hire us to be the full turn-key provider for their project from manufacturing to assembly and testing. Through our strong network of well-proven circuit assembly and manufacturing partners, we can provide the most advanced and nearly limitless capabilities for your prototype or production PCB application. Save yourself the trouble that comes with the procurement process and dealing with multiple components vendors. Our experts will find you the best parts for your final product. Check out our PCB component overages "cheat sheet" to help you know how many of each component size need to be ordered and at what quantity. Contact our engineers to discuss your next assembly project. We offer both turn-key and partial turn-key printed circuit board assembly. For full turn-key services, we manage and produce everything including manufacturing the circuit boards, finding & ordering PCB components, quality inspection & testing and the final product assembly. We even have a network of PCB designers to assist with the layout of the boards. 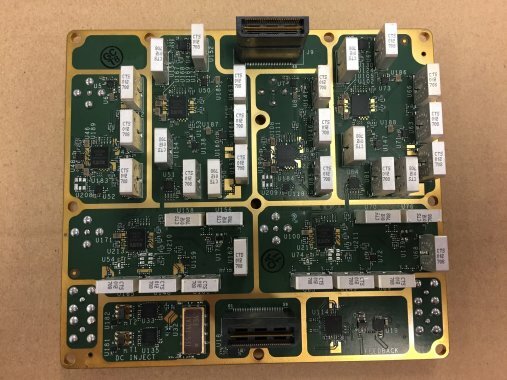 Our technical experts provide their knowledge to each order, whether it be a low volume PCB assembly prototype project or a large scale HDI PCB production run. If you have a PCB design that requires fine pitch, a rush order or even the challenge of getting a hard-to-find component you have San Francisco Circuits, your PCB partner who is flexible and dependable for your most complicated needs! Call our circuit assembly experts at 800-SFC-5143 to make your concept into reality!